Berlin boasts a thriving classical music scene with regular performances of all musical styles from medieval, renaissance, baroque, romantic, chamber music, 20th century, modern and contemporary music performances. 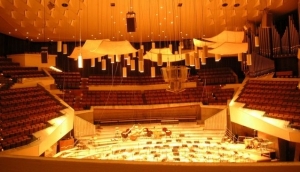 The Berlin Philharmonic Orchestra is considered to be one of the top three orchestras in Europe. If you enjoy classical music then a visit to the Philharmonie is quite s.